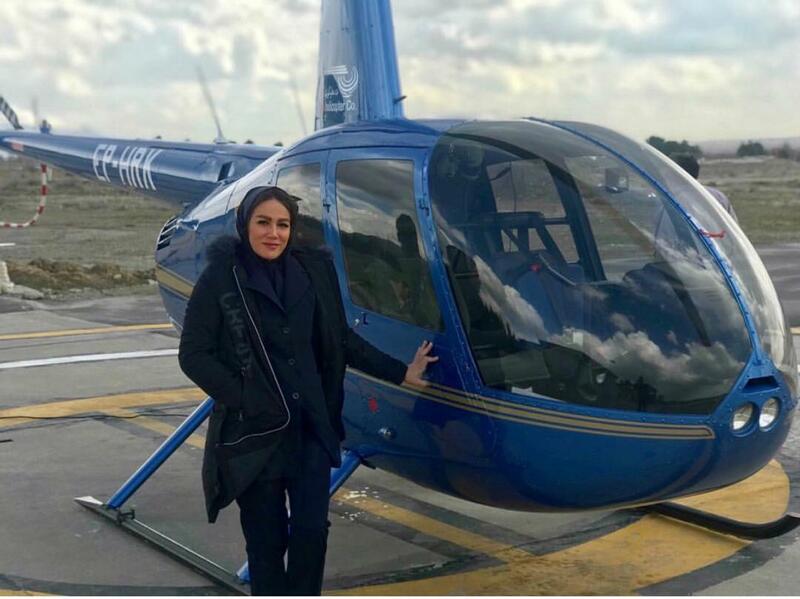 Samira Shabani is the first helicopter pilot in Iran, with two years’ experience of flying aircraft. She believes flying a chopper is more difficult than flying a plane. 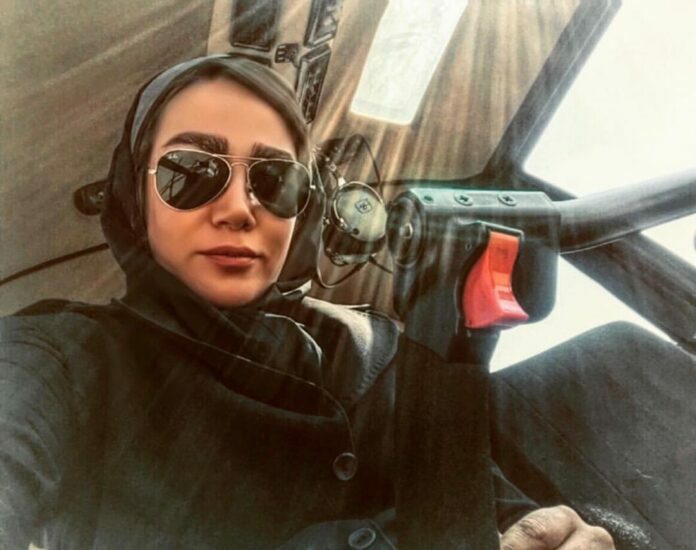 In an interview with Borna News Agency, she has spoken about her first solo flight and the impact of her gender on her profession as a pilot. Excerpts from the interview follow. – How old are you Ms. Shabani? I was born in Shahr-e Kord in 1986. I grew up in Ahvaz. But we returned to Shahr-e Kord a few years ago and have been living there ever since. My father has passed away. My mother cannot read or write and is a housewife. I’m the youngest child in the family. – How old were you when you began flying? I was admitted to university in the field of aviation in [the academic year] 2005-2006. I have loved flying since then. When I entered university, I was sure that I would study piloting. – Why are you so much interested in the sky and flying? My father was very much keen on warplanes. Maybe that was because we lived in the city of Ahvaz and we were war-stricken. Anyway, he was the first person to make me interested in the sky and flying. “I wish you would be able to become a warplane pilot,” he would always tell me. So, I decided to make my father’s dream come true. Of course, I think all children like to become pilots. – How effective were the captains and instructors who trained you? 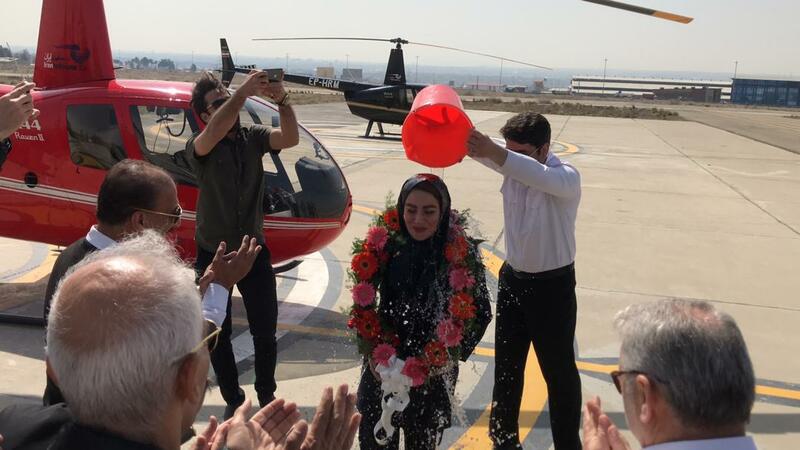 Over the past several years, Captain Orgasi, Captain Rajabi and Captain Moradian have trained around 500 pilots for their first solo flights. “I don’t want to see you as a girl from now on because I become worried,” said Capitan Orgasi when he was accompanying me during flight. “You are so smart and clever,” he told me after a few flights. Sometimes while hovering (holding the helicopter still in the sky), the pilot may lose control, causing the chopper to begin spinning around! I was in such a situation once, and Captain Orgasi was on the helicopter as well. I was so stressed out that I told him, “I can’t. Help me.” Then he shouted at me and said, “I won’t help you. Either control it yourself or kill yourself.” After we landed, he told me, “You have stepped into this arena and you should behave like male pilots as of tomorrow and you shouldn’t be timid; or you should give up this job forever.” And I let go of the phobia of flight and of everything that might happen in the sky. – How did you feel when you were able to fly the helicopter in a solo flight? When you are flying a helicopter, your both legs and arms should work in coordination with one another. This coordination is so hard that you cannot think of anything else. In those moments, I was not even able to think about my 3-year-old son who I love. But on the same day that I was hovering, after I landed, I began screaming and Captain Orgasi gave me a big hand and started encouraging me. When my instructors saw how determined I was to learn, and how much effort I putting into improving my performance, they would call me “Mr. Shabani! or Mr. Samira!” and they said I was fighting like a man in order to learn. – Do you intend to become a helicopter pilot in the future? Hundred percent. I’m going to stay in the domain of helicopter piloting. Choppers are used in different sectors such as nuclear, relief operations, etc., and I will probably begin working in one of these fields.